Mobile wash systems are becoming increasingly popular as more and more environmental regulations restrict wash water runoff from entering and soiling the environment. To that end, Landa Karcher Group has strived to be a leader in the manufacturing of mobile wash systems and the corresponding pressure washer trailers. 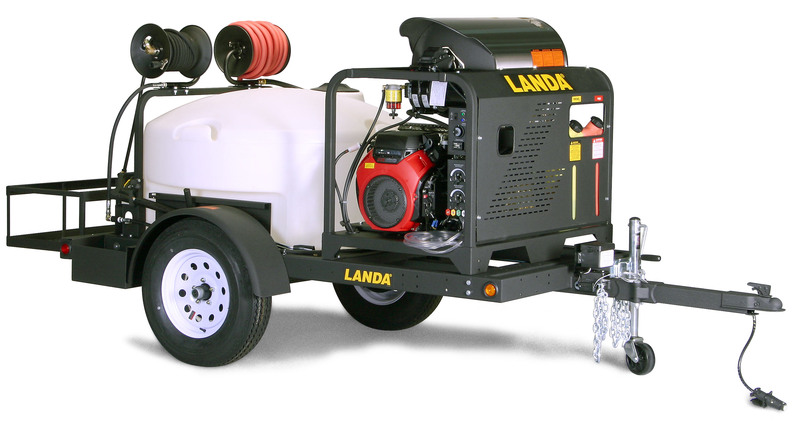 Landa Karcher Group pioneered a custom-mounted pressure washer trailer wash system for on-site cleaning that’s as easy as mixing and matching a single or dual-axle trailer with a self-contained gas or diesel powered hot water pressure washer and adding a broad range of optional accessories, such as hose reels, chrome coverings, work lamp, etc. Our latest development includes the revolutionary ECOS Mobile Wash and Recovery System that reclaims, cleans and recycles the dirty water from pressure washing for safe disposal or reuse—meeting most municipal and environmental regulations for jurisdictions that restrict wash water runoff from entering and soiling the environment. And the fuel burner savings allows for a faster return on investment. 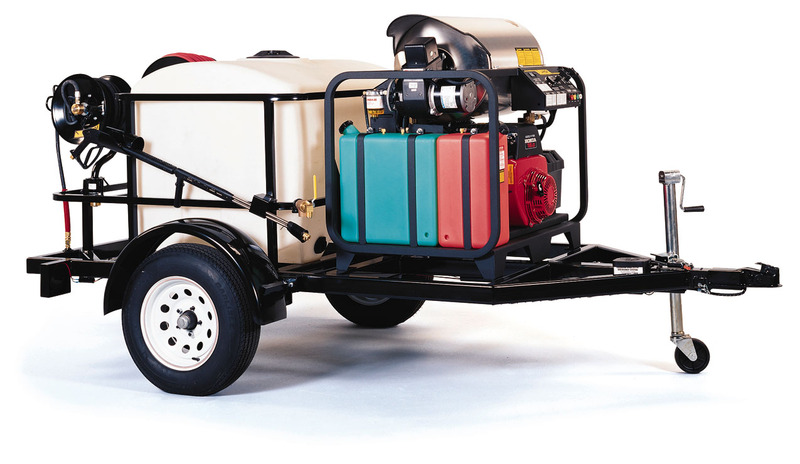 Click on link below to view more information about our pressure washer trailers and wash systems.